India lost the ODI series 3-2, despite taking a 2-0 lead in the series. It was a spirited performance by the Aussie side that travelled to India without some of their key players. 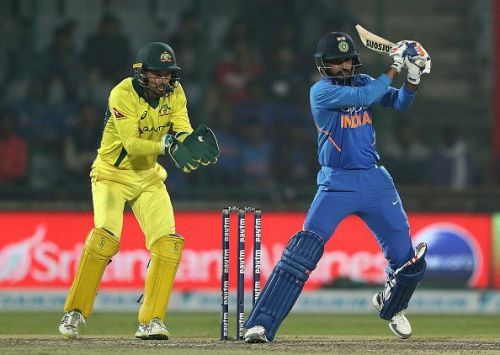 It looked all good for India after the first two games but Australia fought back to beat the home side by winning the final three games of the series. With the World Cup less than three months away and no ODI games in between, the form of some of their players is a huge concern for Virat Kohli and Ravi Shastri. India would want their star players to get back to form in IPL. Despite a lot of experimentation throughout the series, India are still unsure of their best XI for the mega event in England this summer. On that note, let’s take a look at 5 reasons why India lost the ODI series against Australia at home. Despite a lot of changes and experimentation, India failed to get their team balance right throughout the ODI series. They went with two genuine pacers in the first four games and Ravindra Jadeja was played the role of an all-rounder India missed a third seamer and the absence of Hardik Pandya has affected the team balance. With Pandya in the team, India can play both the wrist spinners, which gives Kohli a lot of variety in the bowling attack. 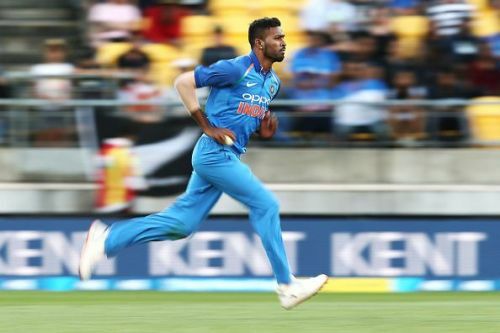 Without Pandya, India are forced to play Jadeja in the team as Vijay Shankar was not so convincing with the ball. Though Kuldeep played all the games, Chahal was slotted into the team just for the fourth ODI. Chahal has been phenomenal in ODIs for quite some time and not playing him enough is one of the major reasons behind India’s downfall in the series.